I’ve been a bit quiet here on the BC blog… so what have I been up to lately? 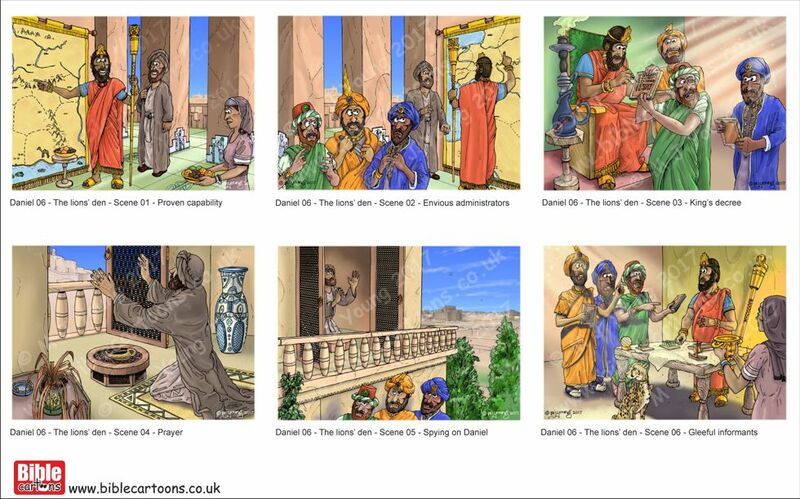 I’m creating a set of Bible Cartoon drawings that will tell the exciting story of Daniel in the lions’ den. I drew a single complete scene of Daniel being lowered down into the den with gigantic lions roaring all around it.. it even scared me! That was back in December 2009, can you believe?! Now I’m adding the rest of the scenes to make this a complete set. 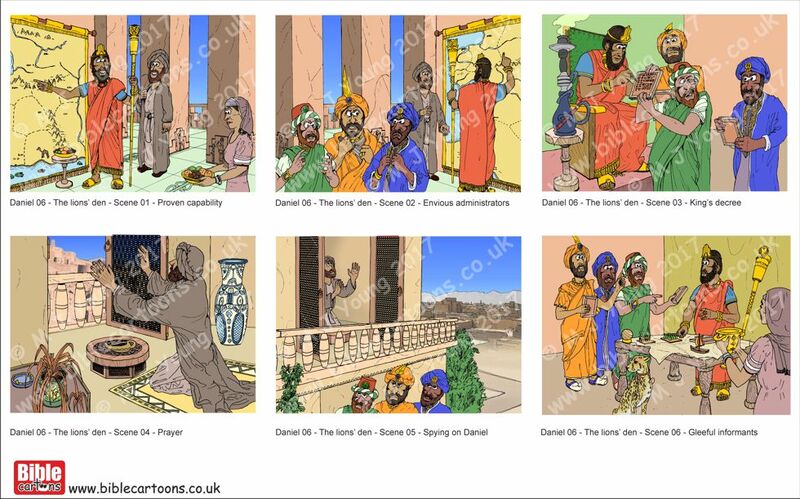 Here’s the first 6 scenes I’ve drawn and done the flat colouring for (see above). The finished cartoons have light and shade modelling added to the scenes, lighting effects (sunlight, dust motes, etc) the signature, watermark and faded edge added.